and between Myrtle Ave and Rockaway Parkway. This service change is taking place so the MTA can replace deteriorated ties and sections of concrete roadbed. 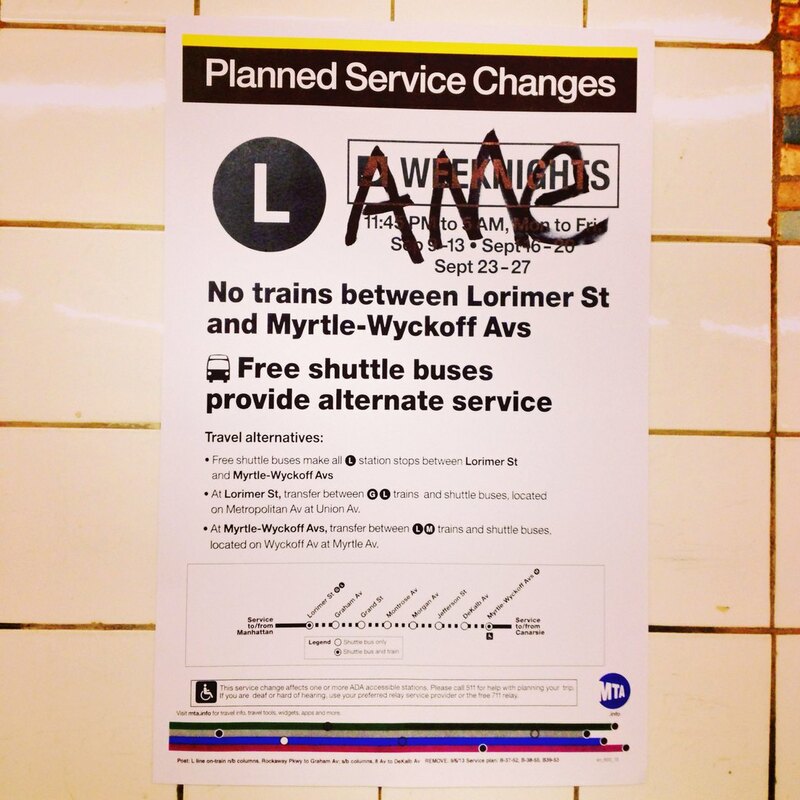 As usual the MTA will offer shuttle bus service between Lorimer St and Myrtle Ave. This same service interruption should also be expected during the weeks of 10/7 to 10/11, then 10/21 to 10/25 and 10/28 to 11/1. Seems like the L train is undergoing some never-ending renovations. Also, remember that although the L will be a no-show this weekend, the L's equally flaky friend the M will still only be running between Myrtle Ave and Middle Village/Metropolitan stations. Now cross your fingers nothing happens to the J or we'll all be screwed this weekend. Happy riding!